We created CrossroadsOfFitness.com for the sweet and knowledgable Garrett Wood. Garrett had an existing Blogspot blog that we migrated over to WordPress. 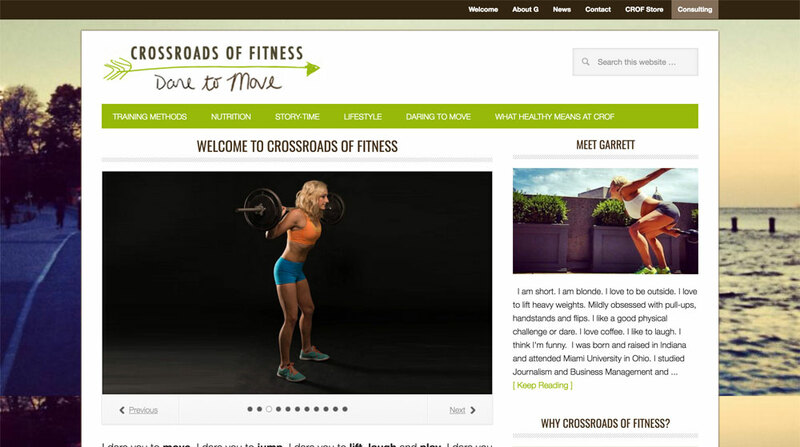 From there we create a platform for her to share her great content and fitness expertise with her audience. Another primary goal of the site design was to communicate Garrett’s fitness and nutrition coaching service, as well as give potential clients the ability to get started working with Garrett. The end result is a site that reflects Garrett’s spunky personality while accomplishing the communication goals.